Yes, as mentioned previously, I have been indulging in DVD-box-set indulgence. As per previous seasons, we start off with the resolution of last season’s cliff hanger, only this time it is straight on in with horrifying terror. Then protagonists, mostly the men, are lined up ready to be gutted – think Long Pig – a smack round the head with a baseball bat and their throats cut. 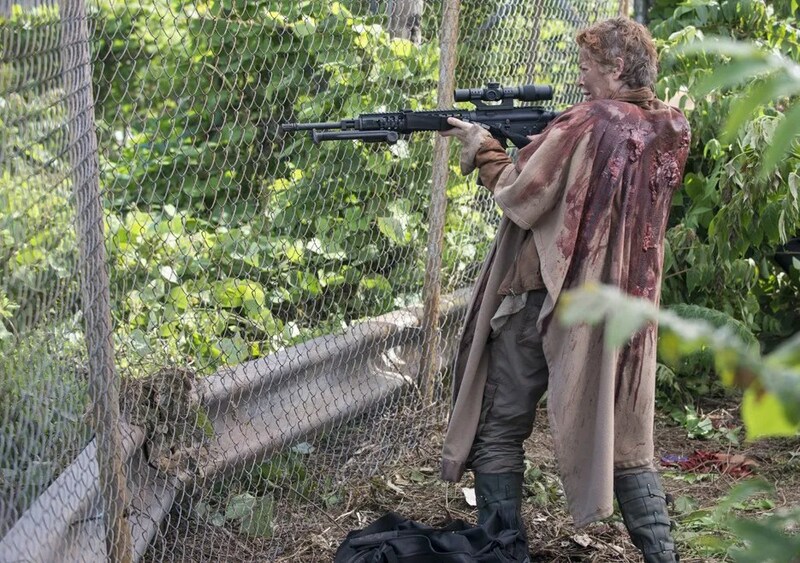 Carol is on hand to save the day. Having dealt with the troublesome kids, Carol and Tyreese not only stumble on one of Terminus’ scouts and deal with him (not as effectively as could be hoped it turns out), Carol procedes to enable the walkers to swarm into Terminus allowing Rick et al to escape and rendevous at “the bag”. With such a large ensemble cast the series really does well to keep the focus of the plot and characters going. 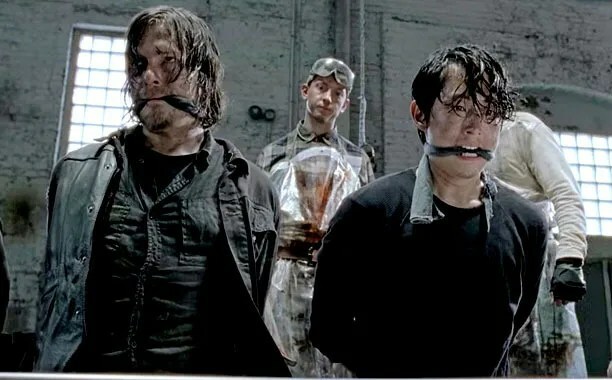 There’s a few times the narrative stumbles, especially I felt in the barn when despite all the characters being present, its really only Rick driving the plot. Michone who I thought would have been set up as Rick’s potential other half goes the other way and consistantly argues with him – great stuff. I won’t go into lots of detail, but Father Gabriel’s obvious lunacy is there from the start, and Noah is the expendeable character following Beth’s unfortunate demise – the entire Atlanta arc is a bit odd. 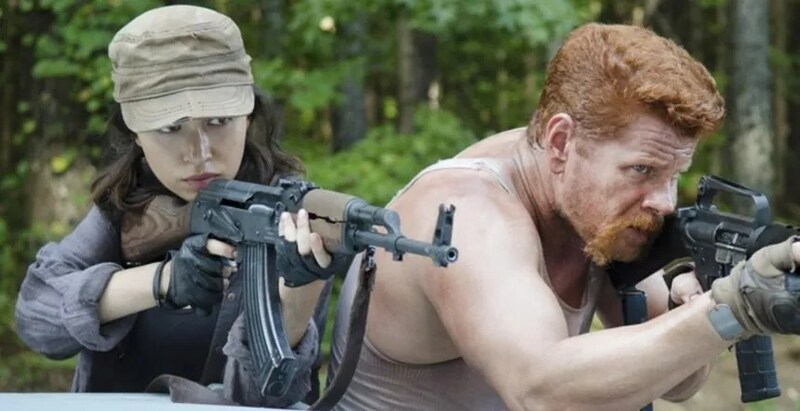 It’s good but seems almost like a throw away idea probably because it is too close to the The Governor/Woodbury arc. Of course the arrival in Alexandria was interesting – given their arse about face fencing system, I am surprised they have lived that long in that amount of luxury. Especially given the amateur efforts of their scouting squads. The final scenes of Rick’s almost paranoia were good however – being that long “on the road” impairs vision and I suppose it was *just* that Michone smacked him down. Oh and it did have some NIN (Somewhat Damaged) as well. This also displaced my other intended DVD box binge, of which more to come.